I fell in love with Tackled By Love. Rachel Duncan has done an amazing job writing this book. She incorporated actual issues that happen in everyday life. From athletes having career ending injuries, bullying, and women having self-esteem issues due to their weight. She has made an honest love story work. Landon Stone had everything he ever dreamed of. A career playing the sport he loves, a beautiful wife. He has everything he wants until it is taken from him when he gets hurt on the football field. At first, everything is seemingly fine. 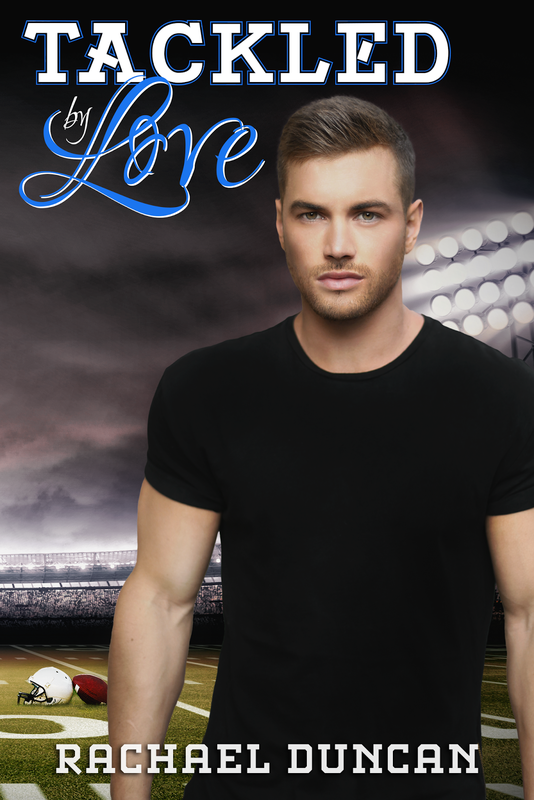 He pushes through his injury to get back on the field, but when the same injury destroys his football career, he is left picking up the pieces of his life by himself. With one injury he loses everything; his wife, home, and career. The only thing left for Landon to do is move back to his childhood home and see what his next options are. The one thing he never expected was to meet Autumn McCray, or whether reconnect with her again.Landon finds Autumn to be everything that he ever wanted and needed, but the question remains if he can show her that he is not like everyone else that he really cares about her and wants to be with her. He wants to show her the amazing person that she is and love her for the rest of her life. Autumn McCray has worked for Landon’s mother at her bakery ever since high school. And since Landon was a big time football star she thought she would never see him again. But when Landon’s injury and early retirement sends him back home she is forced to relive her past. Autumn didn’t have the best childhood. She lost her mother at a very young age and when her father was so over whelmed with grief to help her through her grief, she turned to food as a coping mechanism. And of course being over-weight in high school you tend to have bullies that want to constantly tear you down and make fun of your. Although Landon never participated in the torture that she received, he never did anything to stop it either. Now she has to come face to face with her past and try to heal and find love, or will she just let everything stay inside and loose the one person that loves her and wants to be with her forever.